Whether you are heading off for that well earned break or you are arriving into the UK on holiday, our transfer service will make sure that your trip is a pleasant and stylish one. Take the strain out of driving and save on expensive seaport car park charges with our holiday seaport transfer & chauffeur service arrive stress free and in comfort! 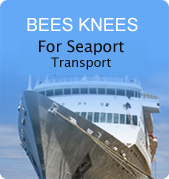 Seaport's covered include Dover, Felixstowe, Harwich, Portsmouth and Southampton. Railway stations we regularly handle transfers to/from are Eurostar, Euston, Kings Cross, Paddington, St Pancras, Victoria, Waterloo and Watford Junction.